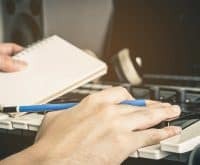 Whether you’re just beginning to learn music theory or whether you’ve known it for years, it’s always helpful to have a few handy guides laying around. 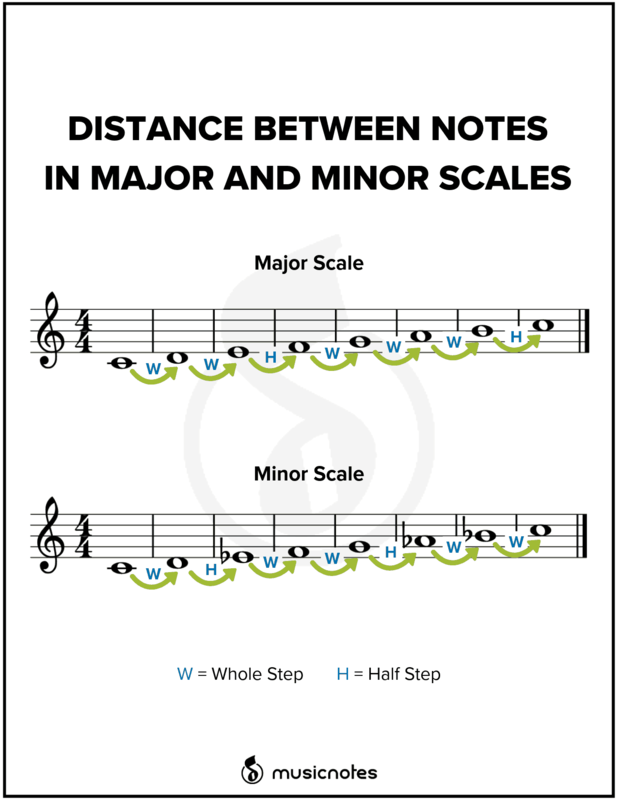 Our music theory guides range from key signatures to cadences, and we’re always adding to the list, so make sure to keep checking back for more music theory tips and tricks. Now for the best part. You can print off each guide totally free! Whether you want to hang these in your classroom, practice room, office, or home, simply click the link below the image or click the image itself to open the PDF. You can also click here to browse the complete list of guides at the bottom of this post. 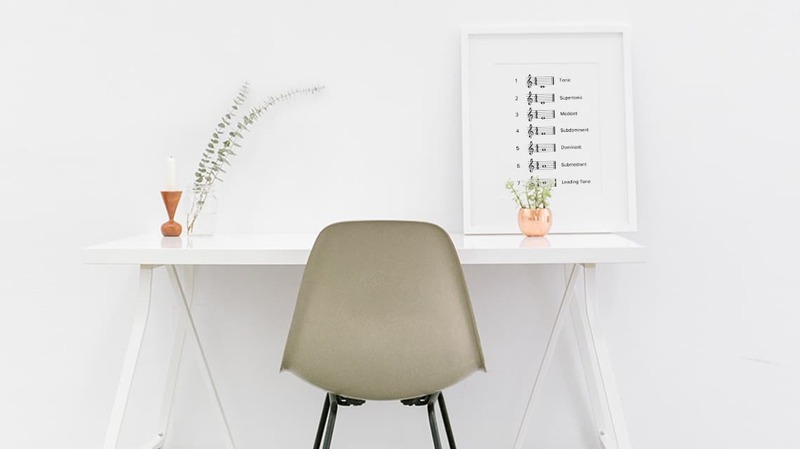 Once you’ve found the perfect guide for you, all you have to do is print and enjoy! 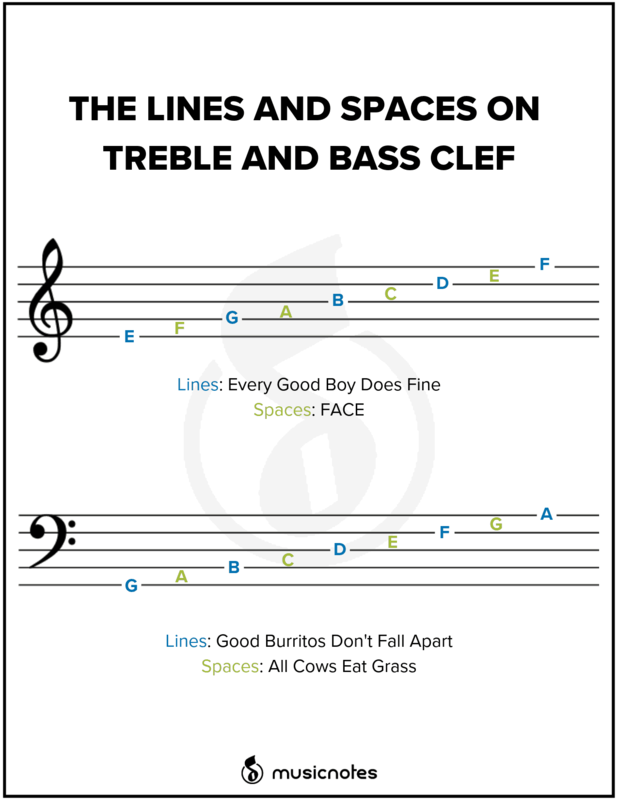 One of the first things you’ll learn in music theory is the lines and spaces on the Treble and Bass clefs. This guide will help you keep them straight. 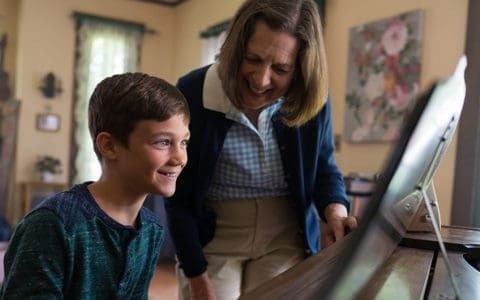 And if you’re just learning how to read sheet music, check out our step-by-step instructions here. 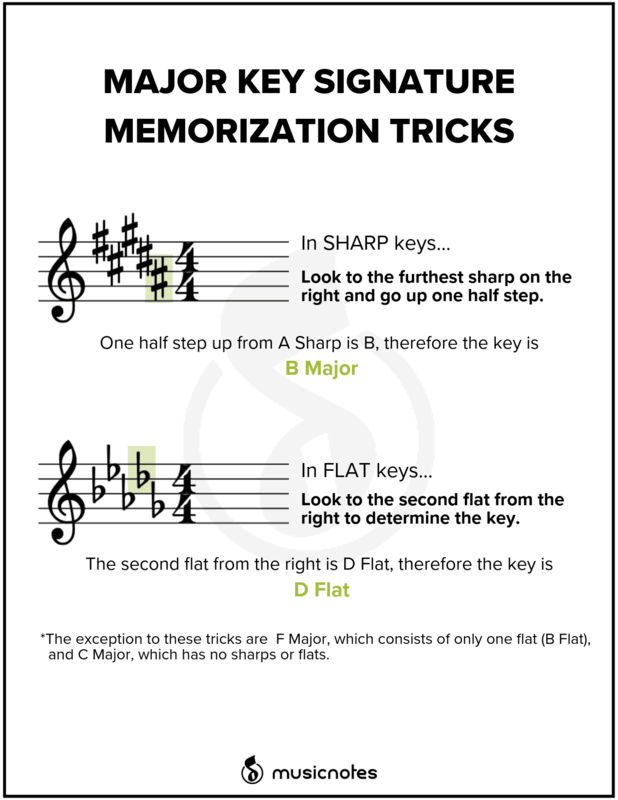 Key signatures can be tricky to learn. 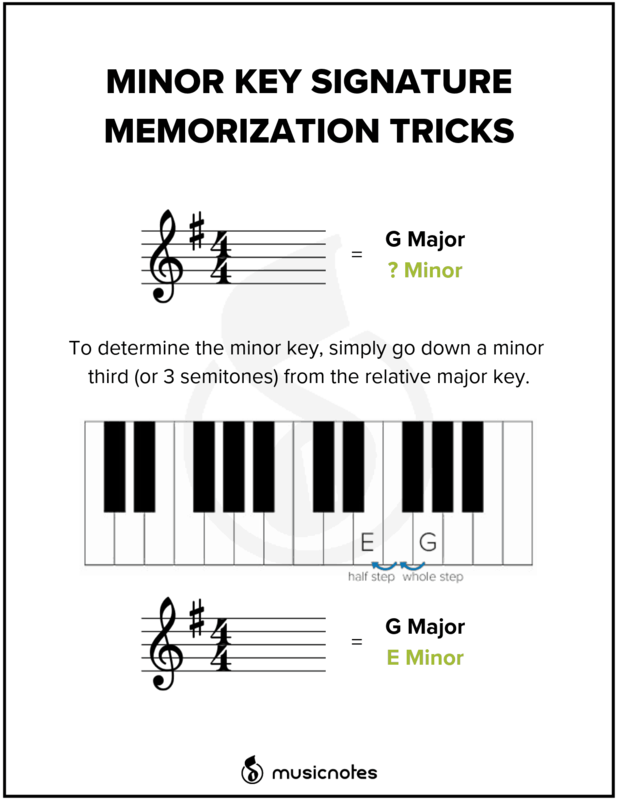 We’ve put together a chart to help you remember which major and minor keys go with which key signature. 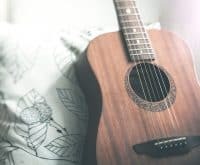 This guide is perfect for the classroom or practice room. 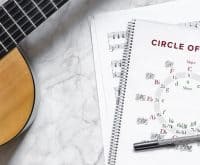 Another great tool for keeping track of your key signatures, the circle of fifths is an excellent guide to have nearby. 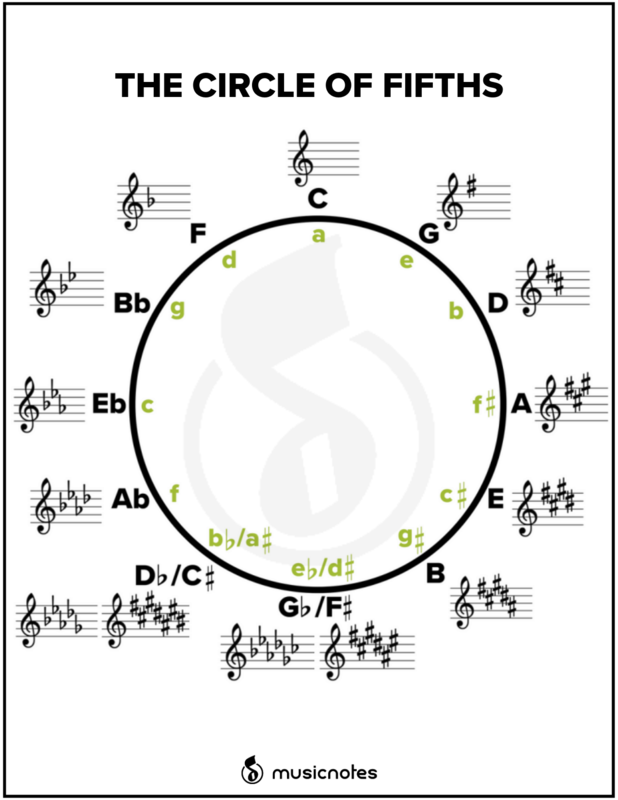 To learn more about the circle of fifths and how to use it, check out our complete guide here. 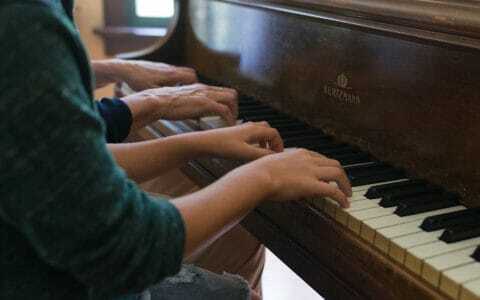 Why do major and minor scales sound the way they do? It’s all in the intervals, and this chart shows you how. 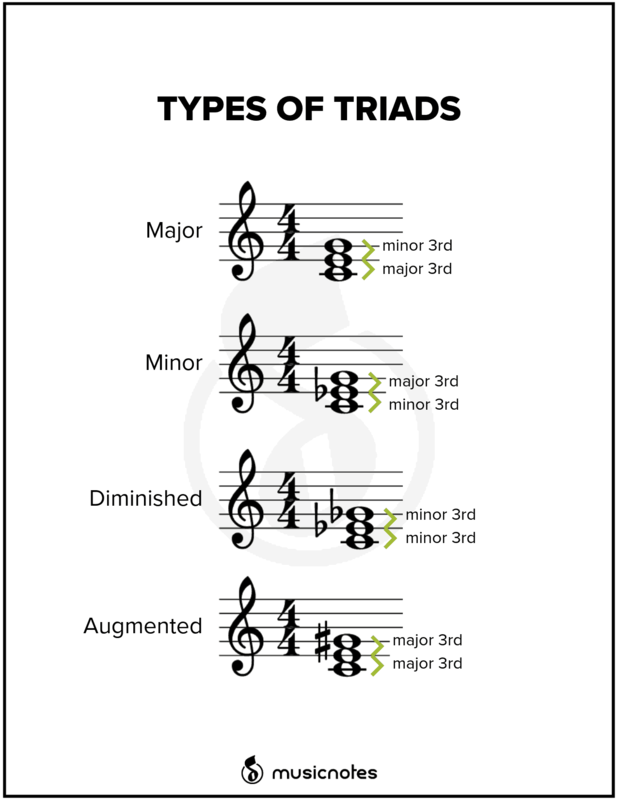 Dive into the anatomy of major, minor, diminished, and augmented triads with this guide. Inversions can seem tricky at first, but this guide will help you commit them to memory in no time. 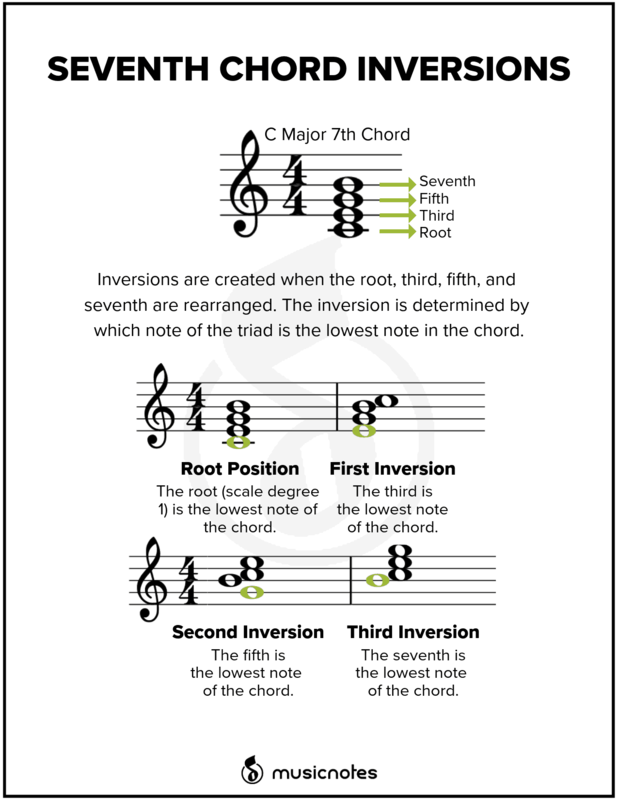 One more interval than thirds, and one more inversion! 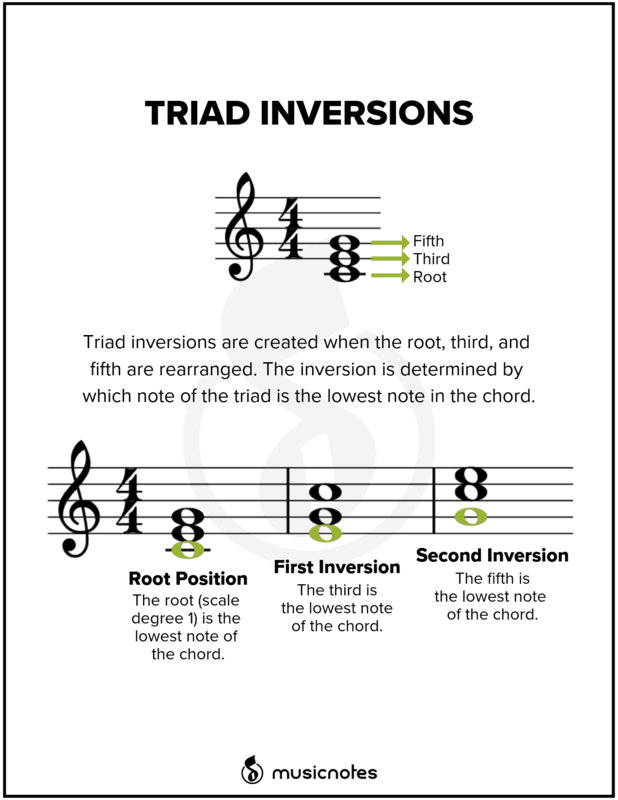 Use this guide to help you remember first, second, and third inversions. 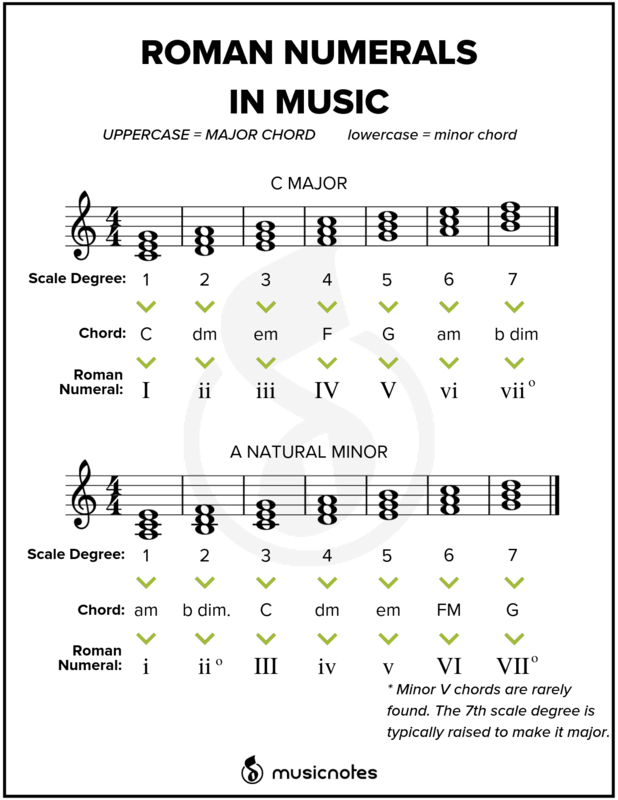 Roman numerals are often used in music, particularly when analyzing a piece of sheet music. 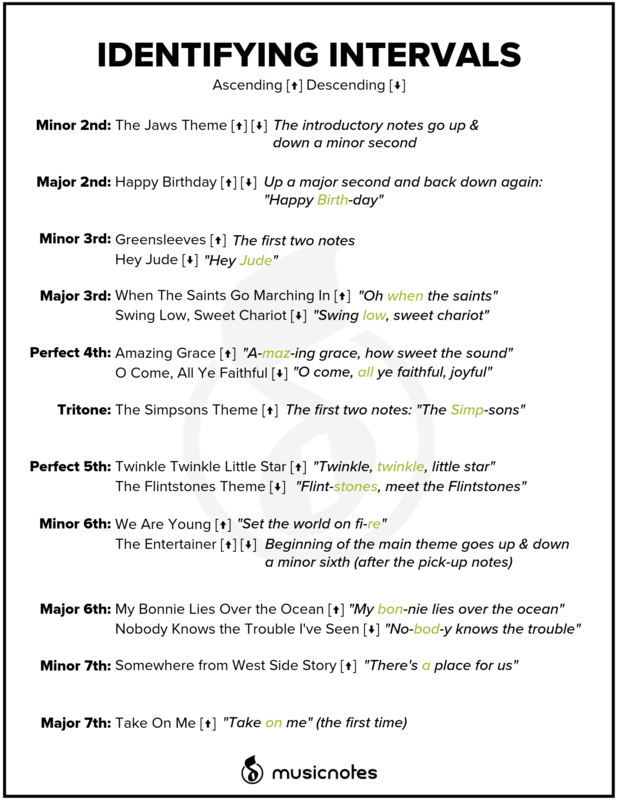 This guide will be especially helpful to you if you’re a music major! 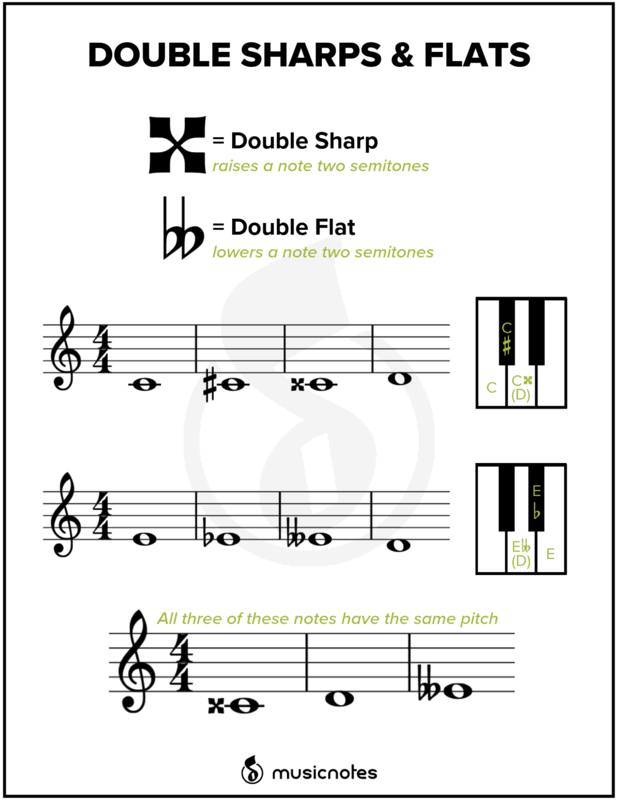 Double sharps and flats: why do they exist? Well, it depends on the key signature! You’re going to run into these symbols in keys with more accidentals, and it’s important to know what they mean when you come across them. 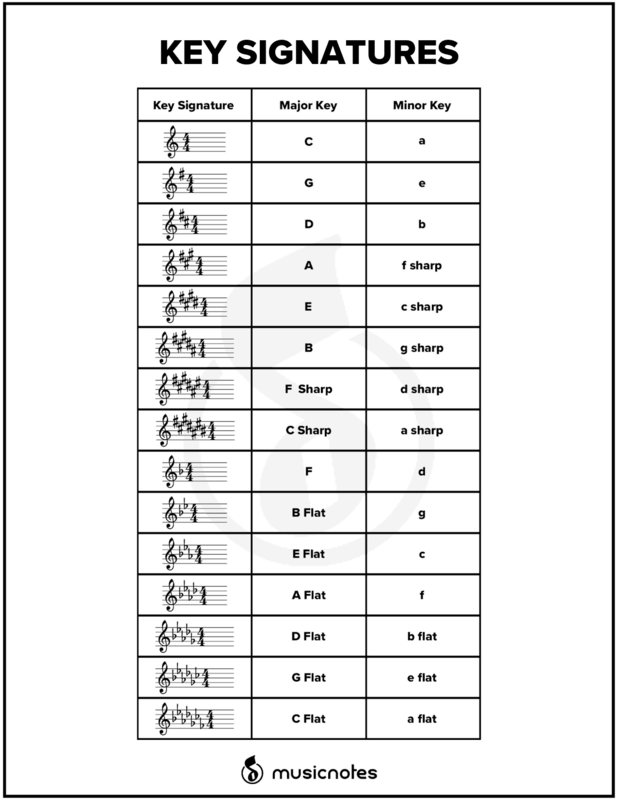 There’s a lot of key signatures, and this chart is perfect for aiding you in remembering your major keys! 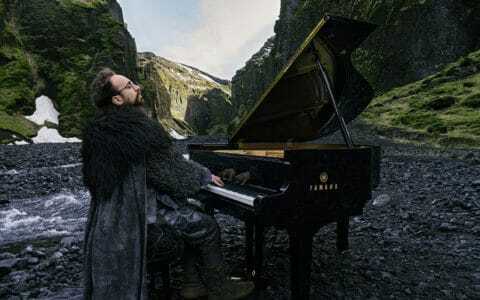 You didn’t think we were going to leave you hanging with only the major key signatures, did you? Some use numbers, some use roman numerals, and some use scale degrees. 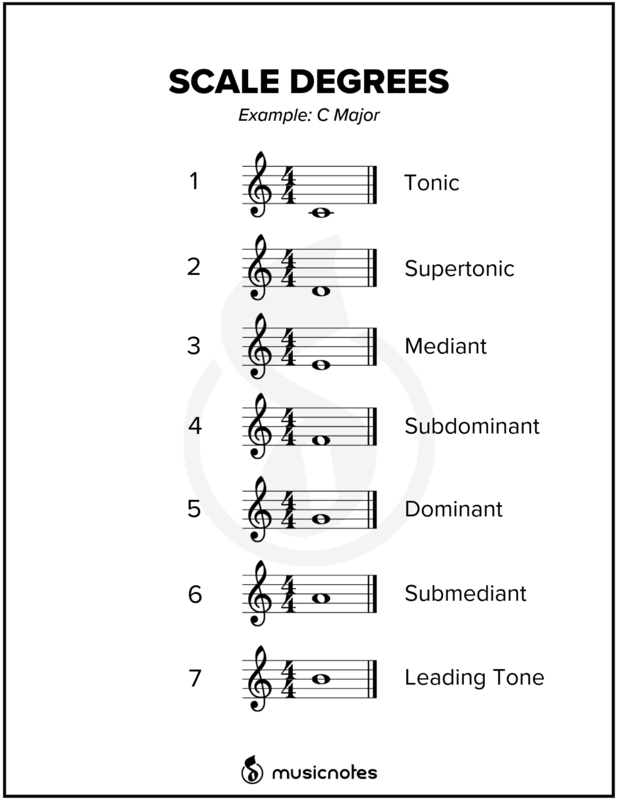 Use this chart to help you keep all your tonics, sub-mediants, and leading tones in line. 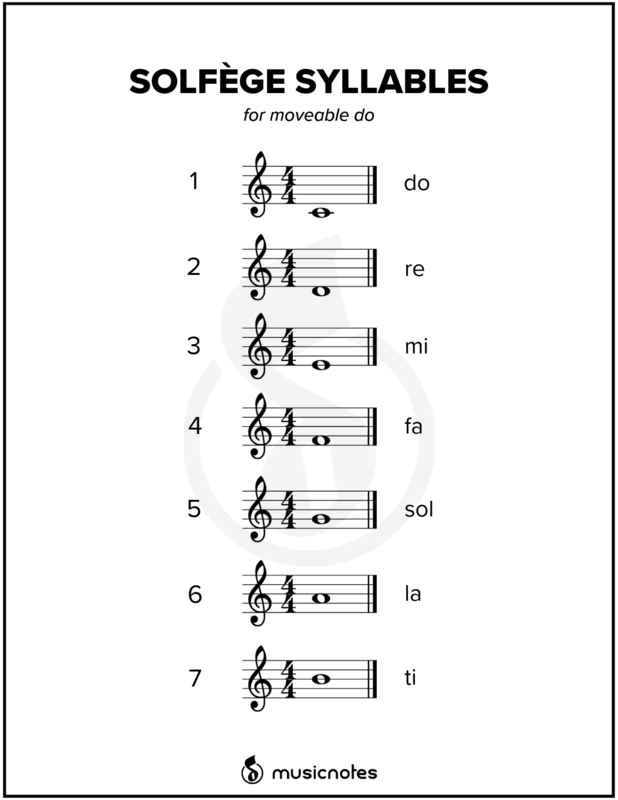 If the word “solfège” isn’t ringing any bells for you, check out our complete guide to solfège here. Use this guide to remember the syllables that coordinate with moveable do. 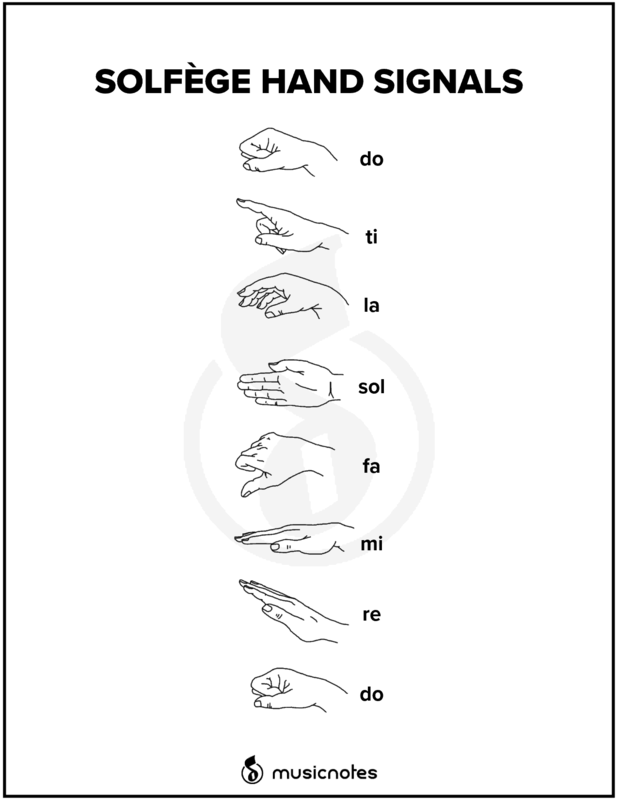 Some people take solfège memorization very seriously–so seriously that they’re willing to assign each syllable to a hand signal. 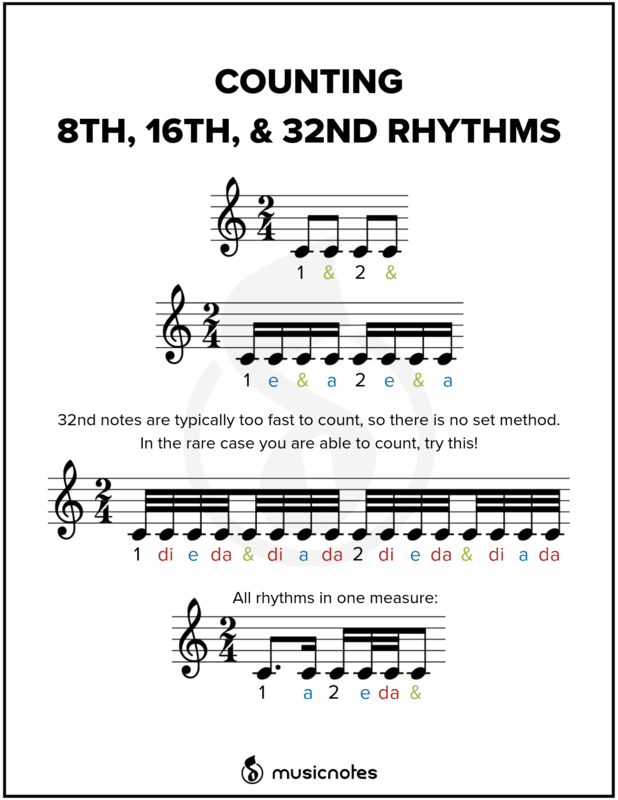 Sometimes counting fast rhythms can be a bit of a mouthful, so if you’re having trouble, slow down the tempo and work out your rhythms at your own speed. 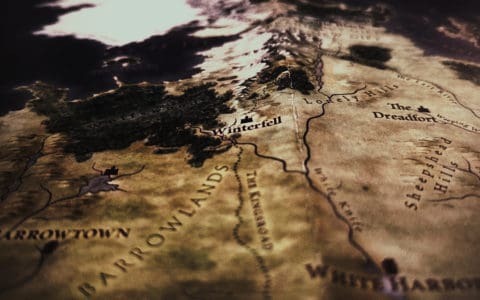 Ear training can often be a huge mountain to climb. Use this guide to help you determine your intervals with some popular tunes. 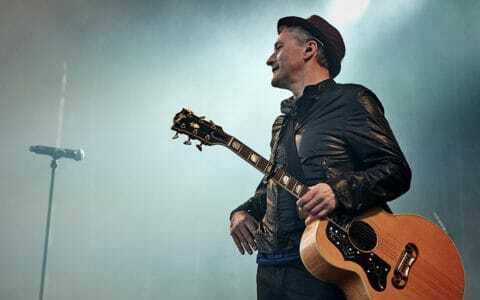 Click here for an in-depth article about how to train your ear with these easy songs. 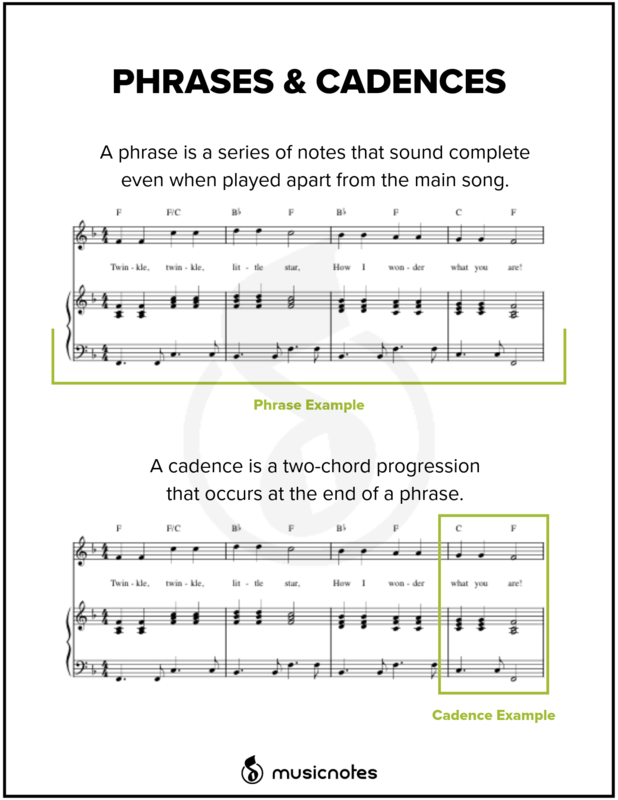 Phrases and cadences tend to be a more confusing subject for beginning music theory students. This guide will aid in providing some definitions and instruction. 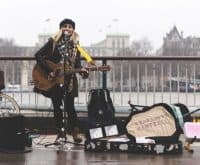 And speaking of cadences, there are quite a few! 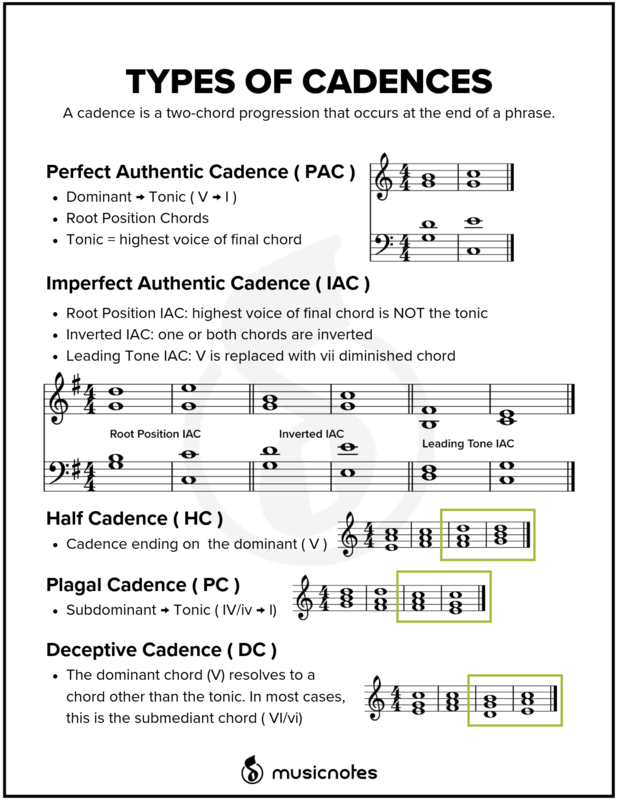 To dive in deeper, check out our article explaining the four types of cadences here. 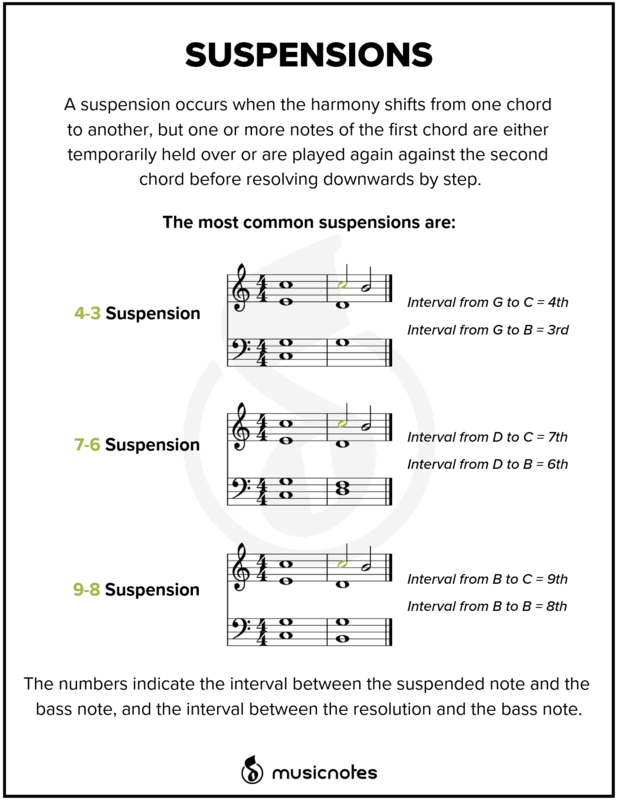 Suspensions are a kind of non-chord tone, and you will likely encounter them in your music theory courses! Click the titles below to open the printable PDF.